In Milan I was well looked after by Lara and Laurent who made sure I was well fed. I got a bit carried away with the gelato having it for every lunch and dinner while I was there. In between all the eating I managed to get some culture in and went and saw Da Vinci’s Last Supper which must be one of the harder paintings to see in the world as you have to book well in advance (or get a cancellation as in my case). 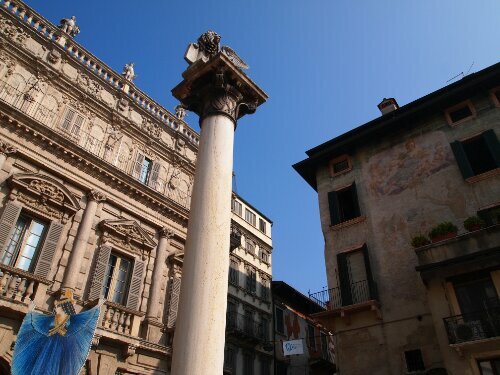 After a couple of days of ice cream I left Milan feeling a little bit more alone than before, it was at the back of mind that it might be quite a few kilometres before I saw another friend. 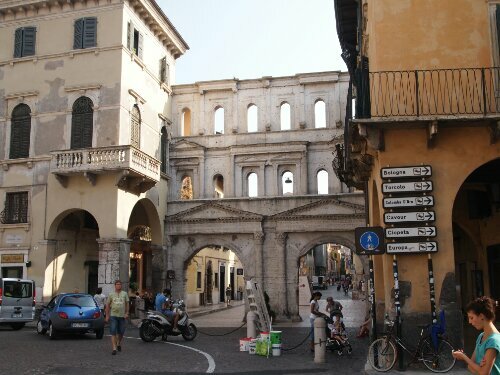 At the same time I was looking forward to seeing some places I hadn’t seen before… first though I had to cross Italy. This it transpired was not too difficult as the route from Milan to Trieste is pretty much flat as a pancake. The route I took was pretty boring being flat and uninteresting for the most part, punctuated by the odd city. That said the cities were very beautiful. 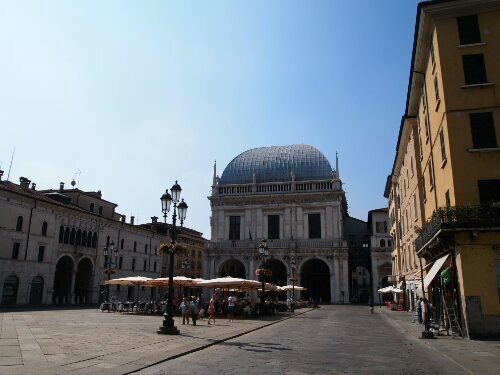 I passed through Brescia, Padua and Verona; each having its own set of wonderful buildings and each old town being really stunning. The first night out of Milan I stopped at Cisano on Lake Garda, the part of the lake I saw, in the south was very pretty but also very touristy which I didn’t expect, there being a theme park for example. The second night I made it to just outside of Venice and had been progressing without a hiccup. Then I tried to go round Venice. I’d decided not to visit the city as I knew it was expensive, had been warned it was a tourist trap and also knew I couldn’t take my bike in. Venice had other ideas though and due to confusing signage for roadworks I ended up crossing the great road/bridge to the city proper, which is two kilometres long and pretty scary on a bike as it’s dual carriageway with no hard shoulder. Upon reaching the other side I decided not to venture in and rather to head straight back. About an hour later having driven round in circles a bit and on some fairly scary busy roads Venice finally disgorged me and I carried on my way feeling I truly had been caught in a tourist trap. A few kilometres out of the city I was lucky enough to be caught up by Mathus and Suzie, a couple of Slovakian cycle tourers on a trip taking in six countries. They were kind enough to let me ride with them as we were going the same way. This was great for me as with two companions my pace picked up and I ended up doing my second hundred mile day (admittedly part of this was down to being lost around Venice). As the day drew on the three of us decided to find somewhere to camp together. I was keen to learn from the two of them as they’d been wild camping most nights on their trip. In the end we found a great spot hidden from the road and near a river (so we could wash), which I think is far better than I would have found alone. I was also able to go into supermarkets, which I’d been nervous about doing before because of my bike. When I saw that Mathus and Suzie were quite happy leaving their bikes outside I did the same. This meant I could now eat better… if better involves eating half a kilo of yogurt in one sitting anyway. The second day we rode together, we made it to Trieste a beautiful city in the far north eastern part of Italy almost surrounded by Slovenia. The place seemed immediately friendly as when we stopped by the sea for a swim I was offered figs and donuts by the locals. There was also a beautiful ride along a coast road to get there. 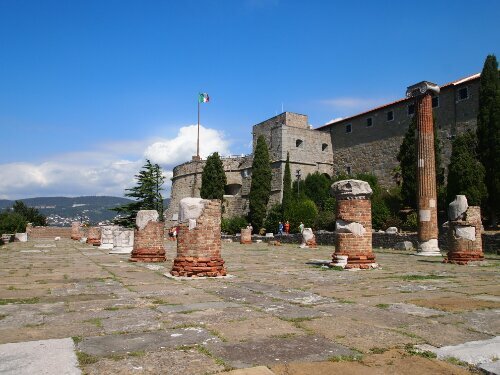 In Trieste we spent some time looking around and having a last Italian pizza. We also managed to find the steepest road in the city up to the castle. I almost flipped my bike over it was so steep. 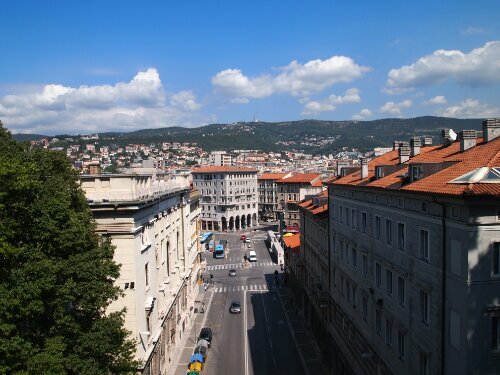 After we’d had our fill of the city, we rode out to discover that as we’d had to climb into Italy over the Alps we’d have to climb out over the hills around Trieste. This led to a sweaty tiring end to the day which finished with us leaving Italy for Slovenia. This was the first new country on my trip and the beginning of the Balkans. 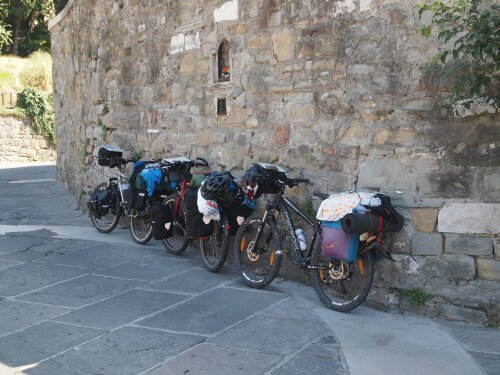 September 9, 2013 in Countries, Cycle touring, Europe.